Stung by JD(U)’s decision to break away from the NDA, the BJP today slammed the erstwhile ally for insulting the landslide mandate given to the coalition in the 2010 Assembly elections and called for a Bihar bandh on June 18 to protest against the “deceit”. 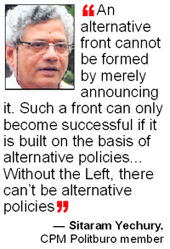 Dismissing the Federal Front idea, the Left today said there can be no political alternative in the country without it and that the Communist parties were in touch with the JD(U) besides anti-Congress and anti-BJP parties. Compensation for colonial oppression: Jallianwala Bagh on agenda? The Shiv Sena and the SAD-the two remaining non-BJP constituents now left in the NDA-today described JD(U) pullout from the alliance as unfortunate, calling it a decision taken in haste. The Shiv Sena, which has 11 Lok Sabha seats, also felt that the JD(U) decision will benefit the Congress. Under the leadership of Gujarat Chief Minister Narendra Modi, the newly elevated chief of party’s election campaign panel, the BJP is all prepared to return to its core agenda. Starting a fresh innings from Madhopur (in Punjab) - the inter-state border - Modi would address party workers from J&K, Punjab and Himachal Pradesh on June 23. The party has decided to aggressively launch its campaign for “complete integration of Kashmir” with India. The BJP has deputed its two stalwarts L K Advani and Modi, for two separate functions, to observe death anniversary of Dr Shyama Prasad Mukherjee on June 23 in an effort to rake up “integrating Kashmir” issue to mobilise party cadre. Heavy rains continued to lash Mumbai and the adjoining Thane district, causing waterlogging in the city and the suburbs and hitting train services on the central line as the tracks were flooded. "One to three feet of water accumulation has been reported from Central and South Central Mumbai," an official of the Disaster Control cell of the Brihanmumbai Municipal Corporation said. Shops and residences located on the ground floor in areas like Sion, Kurla, Chunabatti, Dadar, Parel, Byculla, Mazgaon, Masjid Bunder and Worli have been inundated, civic officials said. Eight persons were killed in Uttarakhand as incessant rain lashed the hill state causing landslides in the higher reaches today. Several roads and bridges were swept away in Uttarkashi and Chamoli districts leading to the suspension of the Char Dham Yatra. Three members of a family were killed when a house caved in at New Mithi Beri in Prem Nagar area of Dehradun this morning, said Prem Nagar SHO Vikas Rawat. The UPA leadership appears to be inching towards finding a solution to the vexed Telangana statehood issue. With tempers running high on both sides of the divide, the Congress high command is veering round to the “middle path” to serve as a balm to the festering wound. A small, but ‘fruitful’ innovation! Even a small innovation can be extremely useful and money-saver for people. But their mindset becomes an obstacle in its use. This exactly is the case with “Fruwash” — a biodegradable emulsion — through which the shelf life of fruits and vegetables can be extended for a long time without refrigeration. In the backdrop of the Central Reserve Police Force’s (CRPF) performance in combating Left-wing extremism operations coming under scrutiny following operational blunders leading to much causality, the force is revamping its training infrastructure and methodologies. 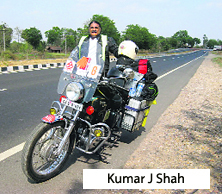 Three Indians, including an Indian Army officer, have planned to traverse the ancient trade route connecting Central Asia with Europe on motorcycles. They have planned this unique journey in support of a campaign to “save the children”. The trio does not have permission to cross over from India by road to China’s restive Xinjiang province. Hence they will start their journey from Bishkek, the capital of Kyrgyzstan in Central Asia, located west of Xinjiang. The arduous road journey over one of the most challenging terrains commences on June 20 from Bishkek. They are scheduled to culminate their 15,300-km-long journey in London on August 15. New Delhi, June 16 Differently abled persons and NGOs working for them in India and across the world want the United Nations to have a disability-inclusive development agenda post 2015. To ensure that they are not left out this time, their representatives, under the banner of Disabled People’s International, are in the process of drafting a new charter on the rights of the differently abled. India’s missile defence system is set to get a big boost as it is developing capability to intercept enemy missiles fired from a distance of up to 5,000 km, in effect tackling any possible threat from countries such as China. The capability is being developed by DRDO as part of the Ballistic Missile Defence (BMD) shield, whose first phase is ready for deployment possibly in Delhi. Former Haryana home minister Gopal Kanda's company Golden Globe Hotels, that owns the MV Leela casino ship, has sought joint inspection of the vessel and said it was not a hazard. Earlier this month, the Goa Government had classified the vessel as a "hazard" and was contemplating auctioning it off. In the wake of several persons getting infected with the AIDS virus after taking blood from a blood bank in a government civil hospital at Mangaldoi in North Assam, Assam Chief Minister Tarun Gogoi has said the government was registering a criminal case as it was apparently a case of criminal negligence. “The unprovoked and unilateral decision of the JD(U) to split from the NDA is a gross insult to a landslide mandate given to the coalition government by the people of Bihar in 2010 Assembly polls... the development is unfortunate and what the JD(U) has done can be described as deceit to the voters and us,” senior BJP leader Sushil Kumar Modi told mediapersons. “We fully abided by the mantra of coalition dharma and did nothing in the past seven years to create any obstacle in the path of smooth functioning of the government... yet the JD(U) has decided to walk out from the NDA in an opportunistic manner without any provocation,” he said. The parting of ways by the JD(U) after the 17-year partnership had to be described as a “black chapter” in the political history of Bihar, Modi said. 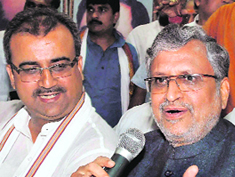 Stating that the BJP had taken the JD(U)’s split from the NDA as breach of its trust as well of voters, he said the saffron party had decided to call for “Bihar bandh” on June 18 to protest against the opportunistic conduct of the former alliance partner and appeal to the people to take a revenge on the former for its “deceit” in the general election. He said all essential services and small vehicles will be allowed to ply during the day-long bandh on Wednesday and urged the party workers to observe protest in a peaceful manner. Modi launched a scathing attack on Nitish for treating the NDA’s landslide victory in the last Assembly elections as his own and said he should have instead resigned as the NDA’s Chief Minister and sought election as the JD(U) legislature party leader before staking claim to that post. “The landslide mandate in the 2010 Assembly polls neither belonged to the BJP nor to the JD(U), but collectively to the NDA for good governance, improvement of law and order situation and development during the first term,” he said. Under the circumstances, morality demands that Kumar should have resigned first before staking claim to form the next government as JD(U) legislature party leader. “But he did nothing of that sort and wants to run the government for nearly half of the term on the mandate of the NDA,” Modi said. He also found fault with Nitish for wooing the minorities after parting company with the BJP by re-discovering his “secular” credentials and said his party too had backed to the hilt all pro-minority development and welfare schemes initiated by the NDA government since 2005. The senior BJP leader took exception to the Chief Minister and the JD(U) finding fault with his party for playing communal politics and regretted that the erstwhile ally did not find anything communal about the party during the 17-year-long association. “It is regrettable that political parties have been using secularism and communalism as a tool of convenience for perks of power,” Modi lamented. “So long as they [JD(U) and other parities] find it convenient to do business with us, they have no problem with our ideology, but they waste no time in harping on our communal credentials when we become dispensable,” he said. Modi claimed there was hardly any political party that could call itself secular as most of them had done business with them at some point in time — be it the Communists, the RJD or others. He further attacked the JD(U) for defending its decision to split from the NDA on the ground of the elevation of a particular leader in his party. “Till recently, the Chief Minister had been saying that (Narendra) Modi’s appointment is an internal matter of the BJP,” he said asking Nitish Kumar to explain how the relationship soured over the past few days when there was no provocation from the BJP. “An alternative front cannot be formed by merely announcing it. Such a front can only become successful if it is built on the basis of alternative policies and a common programme. There has to be alternative policies which can provide relief to the masses,” CPM Politburo member Sitaram Yechury told mediapersons in Kolkata. “But, I feel regional parties too are under pressure from their support base to look for alternative policies,” he said. “Without the Left, there can’t be alternative policies. We are in touch with Sharad Yadav and other anti-Congress, anti BJP parties,” he said. The CPI on its part said an alternative front without the Congress and the BJP to fight corruption and control price rise was not possible without the initiative of the Left. “Our party thinks that the Federal Front proposal is meaningless. There is no use in just gathering and mobilising non-Congress, non-BJP and regional parties. It is not going to make any difference for people of the country,” CPI general secretary Sudhakar Reddy told mediapersons in Chennai. He said any government of an alternative front, which should be able to deliver the goods, “will not be possible without the Left parties’ initiative”. Shiv Sena spokesman Sanjay Raut, who is also a Rajya Sabha MP, said the JD(U) decision to break away from the BJP-led National Democratic Alliance (NDA) is unfortunate and has been taken in a haste. He said NDA will be at a loss and the decision it will benefit the Congress. “If my party wants, I am willing to speak to JD(U) leader Sharad Yadav,” Raut told reporters in Mumbai. Today not only the alliance has broken, but our hearts are broken,” he added. SAD MP Naresh Gujral said the NDA has been certainly fractured but claimed it is a “temporary setback”. The Shiromani Akali Dal has four Lok Sabha MPs. Under the leadership of Gujarat Chief Minister Narendra Modi, the newly elevated chief of party’s election campaign panel, the BJP is all prepared to return to its core agenda. Starting a fresh innings from Madhopur (in Punjab) - the inter-state border - Modi would address party workers from J&K, Punjab and Himachal Pradesh on June 23. The party has decided to aggressively launch its campaign for “complete integration of Kashmir” with India. The BJP has deputed its two stalwarts L K Advani and Modi, for two separate functions, to observe death anniversary of Dr Shyama Prasad Mukherjee on June 23 in an effort to rake up “integrating Kashmir” issue to mobilise party cadre. “Integrating Kashmir” to the Indian Union has been one of the BJP three ‘core’ agendas, along with a uniform civil code and construction of Ram Mandir in Ayodhya. Founder of the Bharatiya Jana Sangh (BJS), the precursor of the present BJP, Dr Mukherjee was ‘martyred’ for the cause of ‘total integration’ of Kashmir with the Indian union. Dr Mukherjee was arrested on May 11, 1953, when he entered J&K without permit. He was sent to Srinagar jail where he died “under mysterious” circumstances on June 23, 1953. It is for the first time after so many years that the BJP has decided to observe death anniversary of Dr Mukherjee in such a big way. Earlier in March 2010, a big function was organised at Madhopur to install life size statue of Dr Mukherjee. Avinash Rai Khanna, senior party leader and in charge of J&K BJP, confirmed that Modi would address joint rally of workers of all the three states. Khanna recalled that Dr Mukherjee was arrested by Sheikh Abdullah (the grandfather of the present Chief Minister Omar Abdullah). At that time the state had a Prime Minister and Dr Mukherjee had opposed giving prime ministerial status to chief minister of a state. Several roads in north Mumbai have also been closed to traffic due to water-logging. Subways in a number of places have three feet of water accumulated and drainage work was continuing, officials said. Mumbai civic body officials said the city and the suburbs have received a record 104 mm of rain in the past 24 hours. 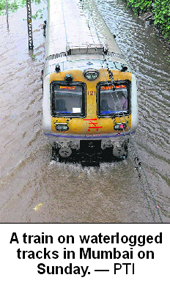 Mumbai's suburban train services, the city's lifeline, was affected after tracks were flooded at a number of places. Central railway officials said tracks between Dadar in Central Mumbai and the downtown Chatrapati Shivaji Terminus were flooded forcing suspension of services this morning. Similarly tracks on the railway's Harbour Line were also inundated forcing services to be suspended. By late afternoon, trains were running again but with delays of several minutes. CR officials said many long-distance trains leaving Mumbai have been delayed by several hours. Incoming trains were terminated on the outskirts of Mumbai, forcing passengers to look for alternative means of transport to their final destination. However, being a Sunday, disruption of services did not cause too many problems as Mumbaikars generally preferred to stay indoors due to the heavy downpour since yesterday. Flight operations at the domestic and international airports were normal. Heavy rains are expected on Monday as well. The government has asked fishermen on the Mumbai and Konkan coasts not to venture out in the sea. The deluge continues elsewhere in the state as well. Heavy rainfall has been reported in Lonavla and Khandala between Mumbai and Pune, coastal Konkan, Ratnagiri and Satara. Further, five persons were killed and six injured after being hit by landslides in Rudrapayag district, disaster management officer Meera Kenthura said. Four of them were killed near Bhim Gali at Rambara on the Kedarnath pedestrian route, while one was hit by a landslide near Gaurikund, en route to the Himalayan shrine, she said. Sources said the Congress high command is actively considering a proposal to unveil a financial package and an autonomous council for the backward Telangana region to assuage the feelings of the people. The region, comprising 10 out of the total 23 districts of Andhra Pradesh, is caught in a turmoil following the agitation for a separate state. The continued political uncertainty over the issue has pushed the Congress government in a tight spot. With the Assembly elections less than a year away, the ruling party has now stepped up efforts to find a solution and held hectic parleys with senior party leaders in the last one week. The recent meeting of the Congress Core Committee also deliberated on the issue in detail, the sources said. With the reports from the ground suggesting that the stocks of the ruling party were declining rapidly in Telangana region, it was felt at the meeting that the issue did not brook any delay. The sources said the Centre might unveil a financial package of Rs 20,000 crore to Rs 25,000 crore for all-round development of Telangana region as a first step to address the issues of backwardness. An autonomous regional council with statutory powers and a separate budgetary allocation, as recommended by the Justice Srikrishna Commission, was also under active consideration of the Centre, the sources said. However, the Telangana protagonists within and outside the Congress have been insisting that nothing short of a separate Telangana state with Hyderabad as the capital would satisfy them. The leaders from the other two regions - Rayalaseema and coastal Andhra - cutting across party leaders have been equally vociferous in their demand for keeping Andhra Pradesh united. General Elections. Several ruling party leaders have switched over to the Telangana Rashtra Samithi (TRS) while the favoured destination for defectors in the other regions is the fledgling YSR Congress Party headed by the jailed MP YS Jagan Mohan Reddy. Some ministers have openly declared that they would not contest the next elections if Telangana state was not carved out. Aware of the strong undercurrent of statehood sentiment across Telangana, the Congress leadership could even promise to continue its efforts to achieve political consensus on the demand for separate state. It will cite the lack of consensus as the reason for not granting the statehood at this juncture. Washed with this organic liquid, the freshness of fruits and vegetables can remain intact from three days to six weeks at temperatures ranging between 10°C and 45°C. There is no need of refrigeration or sprinkling water on fruits and vegetables even during summer days. The non-toxic emulsion has been developed from an organic natural product by a team of researchers led by Dr HM Chawla, Professor, Department of Chemistry, Indian Institute of Technology (IIT), Delhi. Armed with seven patents, “Fruwash” received approval from the Food Standards of India on June 7. It is being prepared from a natural raw material available in the form of crude lac (shellac) in Madhya Pradesh, Jharkhand, West Bengal and Odisha. Experiments have been conducted in national and foreign laboratories. More than 40 technological demonstrations have been organised at the national and international level. The scientists and a group of non-governmental organisations are, however, finding it difficult to change the mindset of farmers and consumers in India’s fruit basket-Jammu and Kashmir, Himachal Pradesh, Uttrakhand and Uttar Pradesh-and other states. “A general perception is that fruits and vegetables will remain fresh if you keep them in a refrigerator,” said Chander Mohan, a science communicator. “People find it difficult to understand that this low-cost liquid is a wonderful solution for the longevity of fruit and vegetables,” said Chander Mohan adding that “refrigeration kills nutritional values”. “Fruwash” maintains carbon dioxide-oxygen balance in fruit and vegetables, without disturbing the enzymes within. To disseminate information among fruit growers, farmers, wholesalers and consumers through “Fruwash Updates” project, the IIT has roped in Chander Mohan, a retired senior official of the National Research Development Corporation, which works for promotion, development and commercialisation of technologies. “Fruwash can be beneficial to both fruit and vegetable growers, especially in electricity-starved areas,” said Chander Mohan. The emulsion is also useful to the families that do not have the luxury of having a refrigerator. It preserves original flavour, crispiness, crunchiness and aroma. A bottle of 500 ml costs Rs 200 and remains good for use for two years-a small price for health-conscious people. “An apple a day keeps the doctor away is a good saying provided the apple is fresh, and not from the cold storage or coated with wax or kept in the fridge, for days,” said Dr Chawla. Fruit and vegetables in India are seasonal and region-specific. To increase their shelf life, they are generally sprayed with toxic synthetic insecticides and fungicides, some of which are carcinogenic. “Fruwash” can significantly reduce these contaminants, claim its innovators. The “Fruwash” project got joint funding from four different ministries-Science and Technology, Environment and Forests, Food Processing Industries, and Rural Development. Eight different research labs worked for developing this technology. “Fruits and vegetables incur heavy losses due to rotting while being transported to the consumer,” said Chawla. It has been estimated that over Rs 40,000 crore worth of fruits and vegetables perish in India, even after reaching the fruit-processing units and the consumer. “If we are able to save even 2 per cent of perishable fruits and vegetables, we can save about Rs 800 crore annually which is enough to feed five million people with balanced fruit and vegetable diet as recommended by the Indian Council of Medical Research,” pointed out Chawla. The technology is beneficial for extension of shelf life of apples, oranges, pears, plums, citrus fruit, grapes, tomatoes, capsicum etc. Promising results are also available for cherry, shakerpare (an HP fruit) strawberry, kinnow, guava and some varieties of mangoes and peas. To create job opportunities in the manufacturing of “Fruwash”, a small beginning has been made in Himachal Pradesh. About 35 unemployed youth, including 14 women, below the poverty line, have become “Fruwash” entrepreneurs in Bilaspur and Solan districts. The commercialisation of the emulsion is being done by a private company of the IIT, Delhi, to make it available in Jammu and Kashmir, Himachal Pradesh, Uttar Pradesh and Delhi. Efforts are also being made to make it available soon in Andhra Pradesh and West Bengal through some non-governmental organisations. The Ministry of Home Affairs has sanctioned Rs 1,425 crore to the CRPF for setting up several new training establishments besides expanding and augmenting some of its existing training centres for the rank and file. The ministry has accorded sanction for the establishment of three new Recruitment Training Centres at Lator, Jodhpur and Amethi, one CoBRA School of Jungle Warfare and Tactics (CSJWT) at Belgaum and a Counter Insurgency and Anti-Terrorism (CIAT) School at Chittoor. 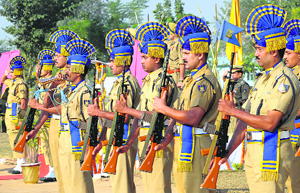 In addition, five existing Recruit Training Centres at Neemuch, Avadi, Peringom, Srinagar and Rajgir, which provide basic training to freshly inducted constables, are to be upgraded with better facilities and training aids. The CRPF has a large number of training institutes that cater to the development of a varied spectrum of operational, technical, medical and managerial skills. With about 220 battalions, including commando, technical, specialist and women’s battalions, the CRPF is among the largest paramilitary forces in the world. Besides complimenting state police forces in the maintenance of law and order, it is the designated forces for internal security duties, counter terrorist operations and anti-Maoist operations. 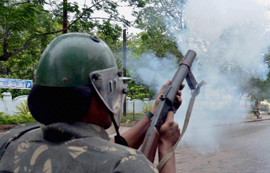 According to some reports, the MHA has been unhappy with the CRPF’s anti-Maoist operations. An assessment by the MHA shows that while in 2011, 72 Maoists were killed, in 2012, only 50 could be neutralised. On the other hand, the number of CRPF personnel killed in anti-Maoist operations rose from 26 in 2011 to 37 last year. This year again, the CRPF has suffered a several causalities after its patrols were ambushed in the red corridor or were victims of IEDs. The number of apprehensions of suspected Maoists by the CRPF has also dropped from 1,683 in 2011 to 1,358 in 2012. The CRPF has deployed 75 battalions comprising over 60,000 personnel in nine states as part of its anti-Maoist strategy. Three Indians, including an Indian Army officer, have planned to traverse the ancient trade route connecting Central Asia with Europe on motorcycles. They have planned this unique journey in support of a campaign to “save the children”. The trio does not have permission to cross over from India by road to China’s restive Xinjiang province. Hence they will start their journey from Bishkek, the capital of Kyrgyzstan in Central Asia, located west of Xinjiang. The arduous road journey over one of the most challenging terrains commences on June 20 from Bishkek. They are scheduled to culminate their 15,300-km-long journey in London on August 15. “We are finishing our journey at Ace Café London, a café established in 1938 for bikers to tell their stories,” said Kumar J Shah from Gujarat, who is leading the team. Starting from Kyrgyzstan, the bikers will cross Uzbekistan, Kazakhstan, Russia, through Europe and enter the UK. The trio will make 61 biking halts en route and have communicated with 37 biking groups of which 31 groups have sent their confirmations. “These groups travel the world and are very excited to meet us, especially as many of them have India on their list of countries to visit,” said Shah. Kumar Shah, a former hockey and football player, is now an avid golfer. For him this is not the first noble cause that he has been associated with. In the past, he has organised car rallies for the Blind Welfare Association at Baroda to entertain the blind participants and raise funds. Gagan Deep is the Army officer in the team. He is on a personal visit after taking leave from his employers. A student of Sainik School, Kunjpura, he has been part in two mountaineering expeditions and a trans-Himalayan trek. The team will rely on Hitesh Raval. He is a mechanic by profession and will ensure that the bikes don’t feel the heat. Differently abled persons and NGOs working for them in India and across the world want the United Nations to have a disability-inclusive development agenda post 2015. To ensure that they are not left out this time, their representatives, under the banner of Disabled People’s International, are in the process of drafting a new charter on the rights of the differently abled. The charter will be submitted to the UN ahead of a high-level meeting on September 23, 2013 at the UN Headquarters in New York where heads of states and governments will have discussions to reach at an action-oriented framework on disability and development in line with international commitments. Currently, 1 billion persons (15 per cent of the world’s total population) are living with some kind of disability according to the latest World Report on Disability published in 2011. As they constitute 20 per cent of the world’s poorest, dealing with disability is crucial for meeting the Millennium Development Goals (MDGs) of eliminating poverty, illiteracy and social inequities. Given their vulnerability, differently abled children are at a greater risk of dropping out of schools. In the global south, including India, the gap between such children going to school and those without any kind of disability is estimated to be as high as 60 per cent. Differently abled women are prone to becoming victims of violence and abuse, the representatives said. Disability rights activists have called for a revision of the current comprehension and definition of poverty. Development of the first phase of the BMD programme has been completed, DRDO chief Avinash Chander told PTI. Under this, the BMD shield can tackle enemy missiles fired at from ranges up to 2,000 km. Taking this forward, the DRDO is enhancing the capability of BMD in phase-II to deal with threat from missiles of longer range of up to 5,000 km. “We are planning to soon carry out the first trial of the phase-II of the programme under which we will test our capability to destroy an incoming ballistic missile fired at us from 5,000 km range,” said Chander, who took over charge earlier this month. “Such a capability meets our immediate threat perception,” he said when asked if it would cover the threat of such missiles being fired from countries such as China. Officials attached to the Captain of Ports said Kanda's company had claimed that the vessel was in fine shape and that it was not a danger to traffic in the Mandovi river, off Panaji, where it is currently anchored. "We had issued the Golden Globe Hotels a notice asking them to tow the boat because the onboard casino is not functional and sometimes there is no one a board the ship. In the monsoon, the river current is rough. It could dislodge the anchor and the ship can become a risk to other vessels," a senior official said. At least four persons have contracted the AIDS virus after they were given blood at Mangaldoi Civil Hospital from a professional donor who later turned out to be HIV+. The Chief Minister said the government was considering the matter as a very serious one. “I have ordered the registration of a criminal case in the matter. Mere suspension of some official is not enough. It is a case of criminal negligence,” he added. Gogoi said the victims would also be paid compensation by the government as it had happened at a government hospital. He had already ordered an enquiry by Additional Chief Secretary PP Verma into the matter yesterday and asked for the report within 30 days. Meanwhile, state Health Minister Dr Himanta Biswa Sarma on Saturday deputed a team of experts from the Gauhati Medical College and Hospital here to probe the alleged lapse.